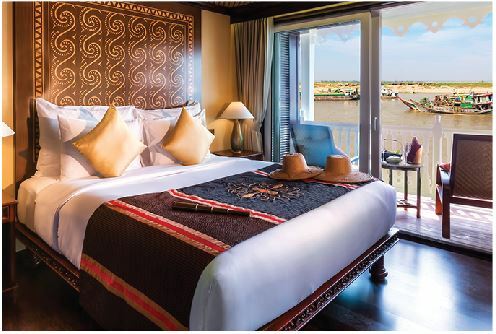 Shinta Mani Wild To Open In Cambodia At The End Of The Year. 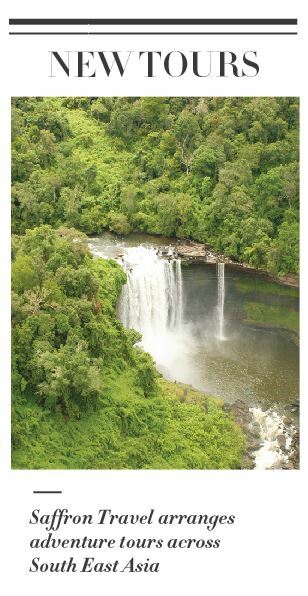 Shinta Mani Wild is located among the wilderness of Tmor Rung, a 2-hour drive from Phnom Penh. 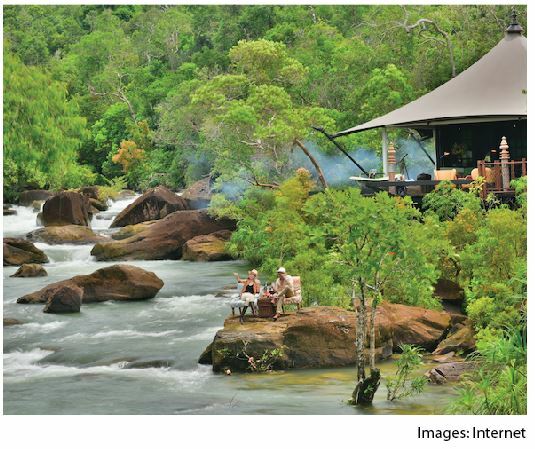 The eco-friendly camp resort features 15 safari-style tents that look like luxury rooms from the inside. It borders the edges of three national parks: Kirirom, Bokor, and Cardamom, which provide great opportunities for adventurous activities. Shinta Mani Wild is expected to open in the 4th quarter of 2018. 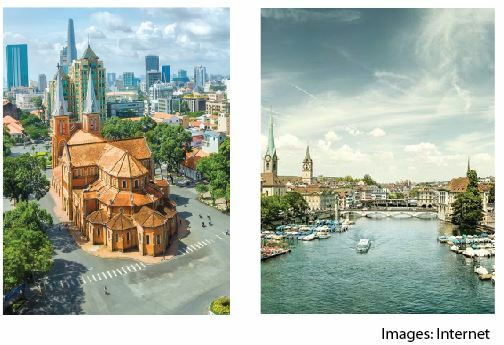 The direct flights between Saigon and Zurich operated by Edelweiss Air will start from November 15th, 2018, twice a week on Tuesdays and Fridays. The new route will fly the Airbus A340-300, which can carry 314 passengers. 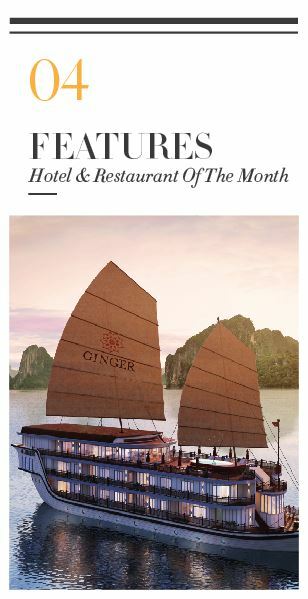 Heritage Line is offering a special summer promotion of 20% off for its 11-night cruise along the Chindwin river – an area famous for its fantastic scenery, petite local villages and the unique Naga tribe. 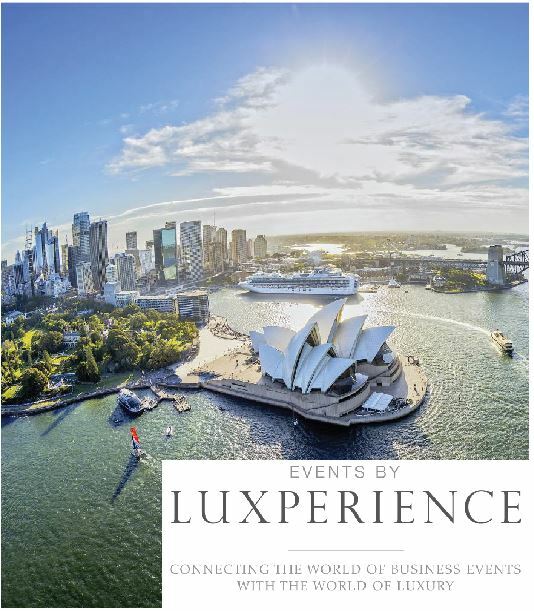 Special benefit: Deluxe Stateroom bookings receive free upgrade to Deluxe Executive upon confirmation. Subject to availability. Cruise period: 17th – 28th September 2018. Booking period: until 30th August or sold out. 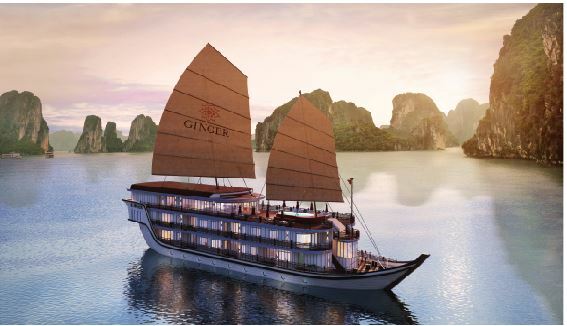 Ginger started its first journey with a brand new look early in June. 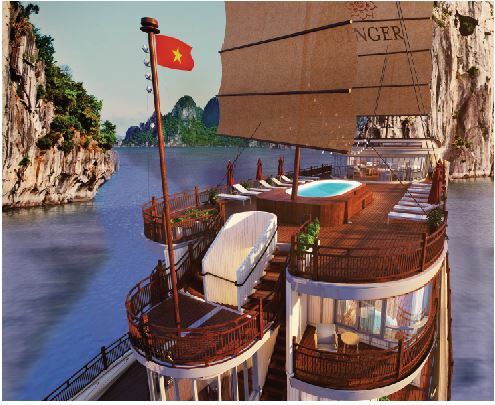 It offers a 1-night program through Lan Ha Bay – a tranquil part of Halong Bay – with interesting activities along the way including: cycling on the jungle-clad Cat Ba Island, kayaking and an entertaining Vietnamese cooking class. 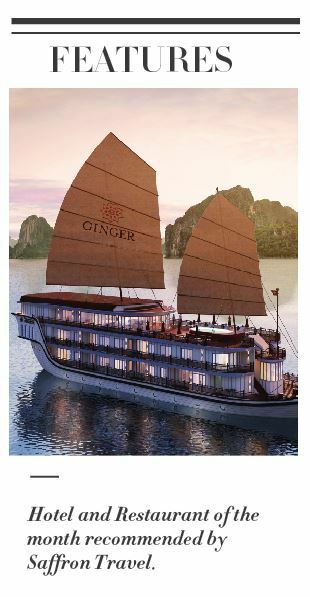 Ginger’s Grand Opening Rates start from US$247 per person. 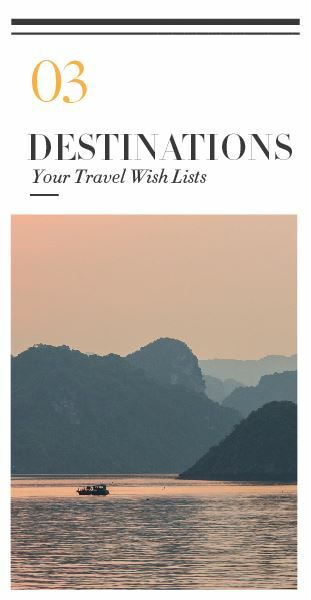 With rich jungles, waterfalls, the largest cave in the world, several tropical mountain ranges and a breath-taking spectrum of unique wildlife, South East Asia really has it all. 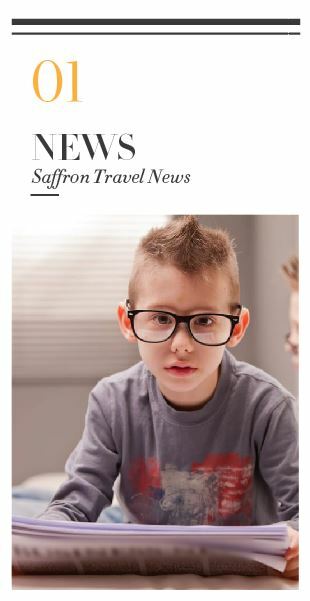 Much of the territory, for example in Cambodia and Myanmar, is in the early phase of welcoming visitors so real adventures are genuinely out there. 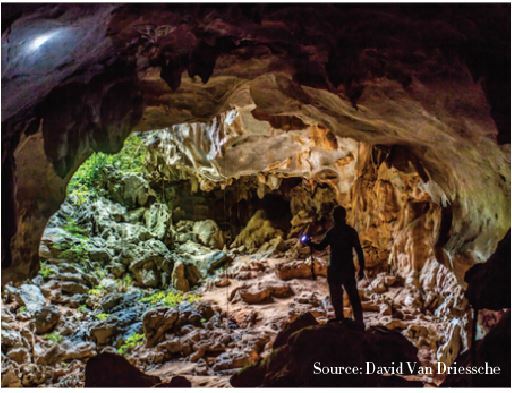 This adventurous tour explores the less visited parts of the country including exclusive access to a newly discovered cave in southern Myanmar. The government has yet to name this cave system. Its unadorned magnificent limestone lies hidden in the jungle. The tour covers many activities including: boating, hiking, and climbing. 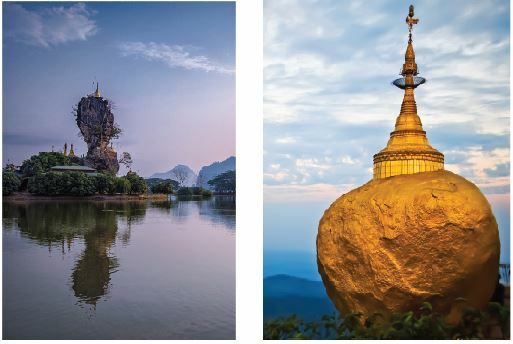 It could start from Yangon, or begin in Kawthaung, or Dawai and can be combined with the Buddhist pilgrimage site – Golden Rock – Hpa’an, and Mawlamyine with its unique combination of landscape, beauty and melancholy. 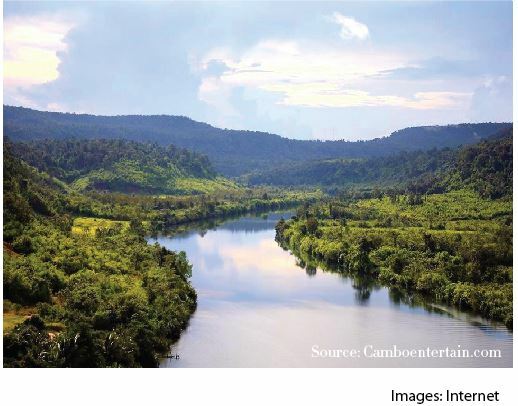 Cambodia’s oldest parks: Bokor, Cardamom, and Kirirom with their raw wilderness where elephants roam freely and tigers, gibbons and other animals are prolific, represent one of the greatest jungles in all of South East Asia. But where nature is so undistrubed, is this a good place to welcome visitors? Fortunately the new Shinta Mani has great respect for the local environment. 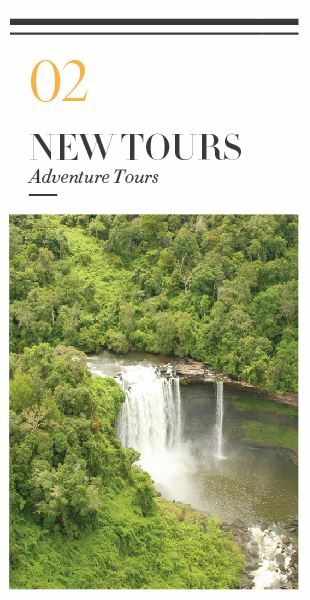 A safari tour can be added to itineraries of southern Cambodia, which take in Koh Kong with the unique 4-river Floating Lodge and end up with the tropical beach gateway town of Sihanoulkville, or the secluded Koh Rong Island. Lan Ha Bay is located to the south and east of Cat Ba Island. This tranquil area is home to over 300 karst islands and limestone outcrops making this bay one of the most beautiful bays in Vietnam. 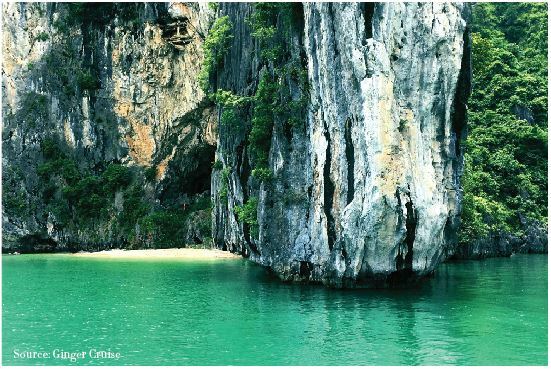 Besides, Lan Ha Bay has the additional attraction of numerous white-sand beaches. 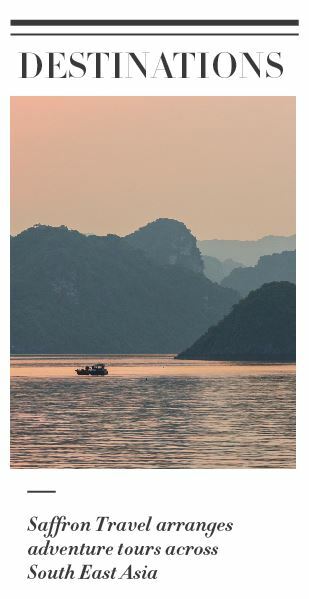 Due to its distance from Halong City, this area is less known by travellers and there are few cruises operating here which helps keep its green and charming beauty. 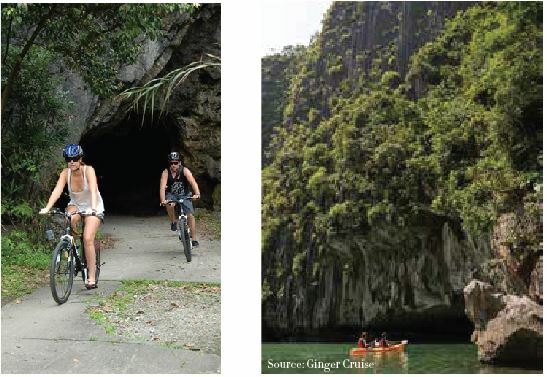 Staying on an overnight cruise, kayaking, or biking trips are among travellers’ favourite activities. The best time to visit Lan Ha Bay’s crystal clear waters is between September and November when the weather is beautiful with warm sunshine and cool breezes. 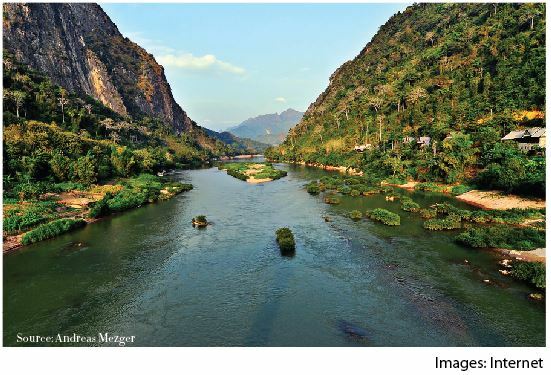 Nam Xeuang River is located just 2-hours drive from central Luang Prabang. It is a fantastic area to explore with several fun activities such as kayaking & swimming. The adventure starts with some light rapids which become more dramatic during the rainy season. Stop for lunch and a swim down river. There are lovely local villages along the riverside and the spectacular landscape through which the river tumbles is truly breath-taking. Set within a leafy garden in the town centre, Rohatt is a popular destination for diners to recharge by the river. The restaurant specializes in authentic home-style cooking. 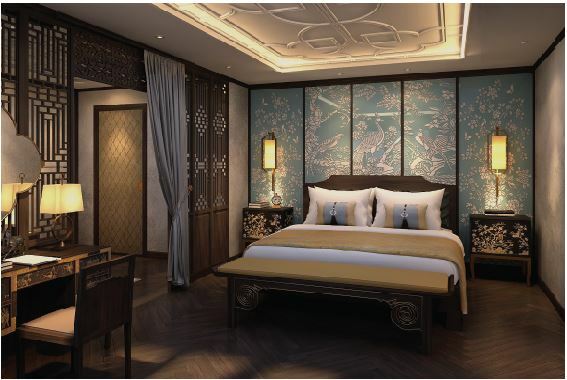 The design is inspired by traditional Khmer style architecture. There is a wide range of dishes for guests to choose from. 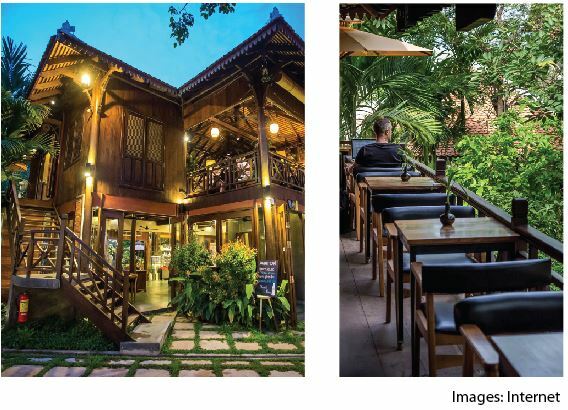 Try the fish amok – Cambodia’s national dish – and Rohatt’s signature, special roast chicken. Rohatt also has a great list of refreshing tropical cocktails and delicious local beers. Celebrating the fabulous flavors of the region. 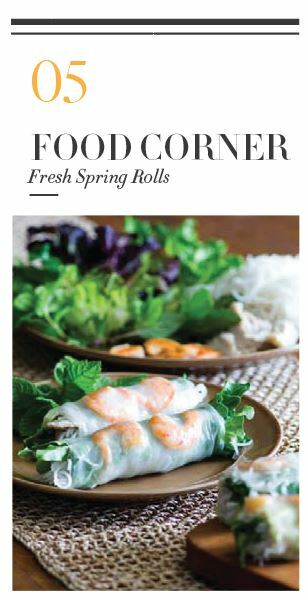 So healthy and tasty, fresh spring rolls can be consumed at any occasion and are very easy to make. Boil the prawns for 2 minutes. Drain and cool. Put the rice vermicelli, a pinch of salt and a dash of vinegar in a bowl of boiling water, cover and cook for 5-10 minutes until soft. Drain and rinse with hot water. 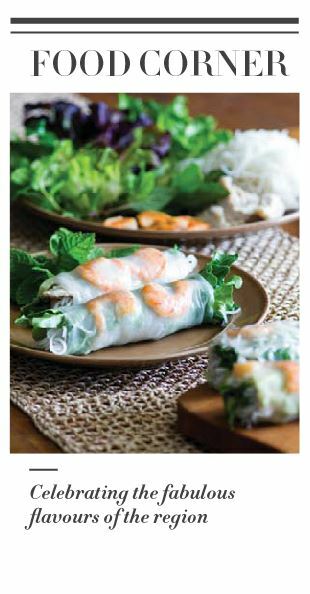 Dip a sheet of rice paper into the water and take it out as soon as it is moist all over. 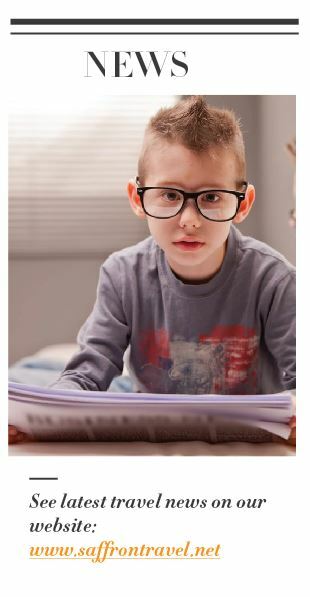 Lay the sheet on the plastic board. 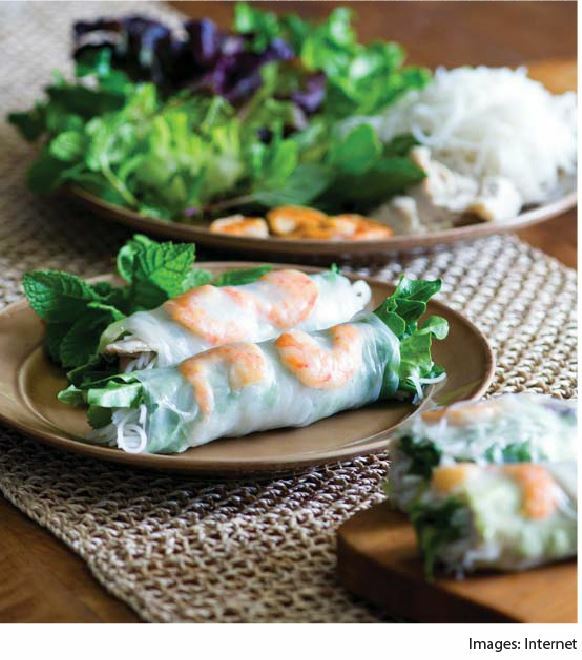 Lay the lettuce leaf and herbs on the soft rice paper. 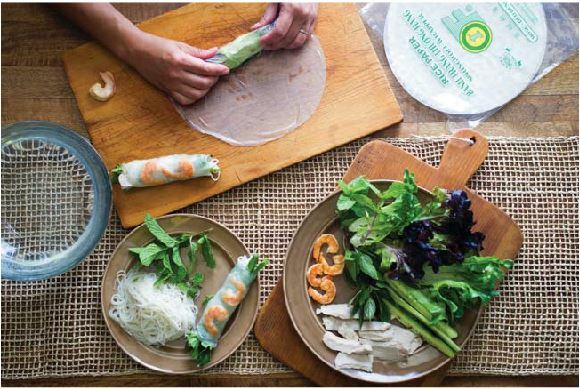 Then add remaining filling ingredients, fold and roll. Heat the oil. Fry the garlic until it browns slightly. Add the hoisin sauce, vinegar, chilli sauce and 1 tablespoon of water and bring to a gentle boil. Pour into dipping bowls and sprinkle the peanuts on top.